Our treatments have a focus on exercise and manual therapy, which is supported in the most recent literature and evidence. We have a number of APA (Australian Physiotherapy Association) Titled Sports and Musculoskeletal Physiotherapists at Physioactive. Typically these physiotherapists have had added extensive training through comleting a masters degree in either Sports or Musculoskeletal Physiotherapy. Titled Physiotherapists gain experience and clinical skills through their Masters degree that enables them to work in settings such as elite sports clubs and specialist musculoskeletal clinics. At Physioactive our primary treatments are 'hands on'. We believe this style of treatment achieves the best outcome in helping you get back to normal. Particular styles and techniques which can be used are spinal mobilisations, manipulations, massage, McKenzie, Maitland and Mulligan techniques. Our physiotherapists at Physioactive are trained in manipulative techniques. Manipulative techniques are used to treat spinal conditions to help reduce stiffness and restore correct spinal alignment. We have a 110square metre gym space at our clinic at The Injury Hub. This gym is equipped with the latest equipment designed to hep you overcome your injuries and issues, such as cardio and strength based equipment. The gym space also includes a pilates studio and a functional running track, and is similar to facilities seen at an elite sports team. Our team of physiotherapists specialise in orthopaedic rehabilitation. This includes treating various musculoskeletal conditions and injuries, post-surgical care-joint replacements, arthroscopies, manipulations and biomechanics assessments. Hydrotherapy or aqua physiotherapy is a form of physiotherapy treatment in water. It involves a group of exercises done in a heated pool to relieve pain, improve muscle movement and function and improve general sense of well-being. Physioactive currently does their hydrotherapy at the StarPlex Gawler (Alexander Pde) on Tuesday and Thursday afternoons. This involves performing a golf specific physical screen which identifies limitations in the clients body and physical capacity that may be causing pain or reducing the golfers efficiency to swing a golf club. So if you want to reduce pain with your golf game or just improve your performance, Jamie Phillips may be able to help you. For further information and registration please contact our reception staff. 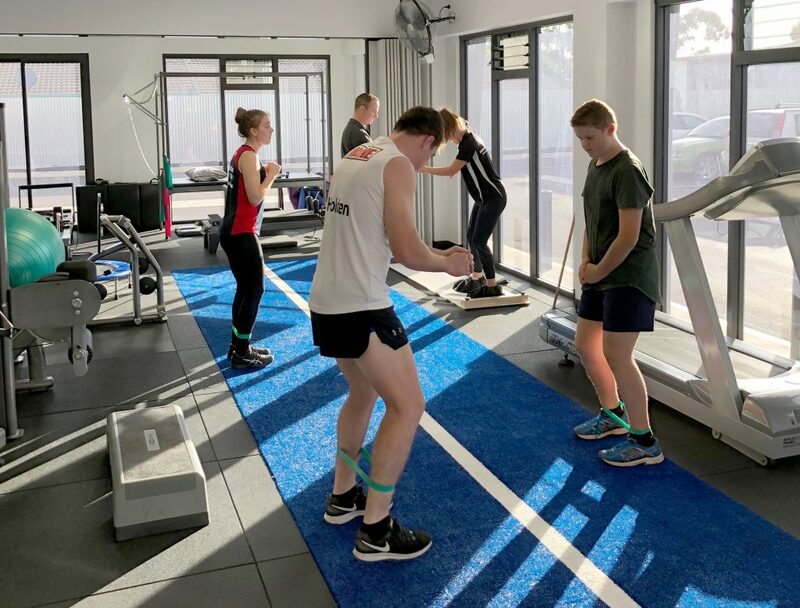 The knee Rehab Class is designed to help improve neuro-muscular control of the hip, pelvis, trunk, knee, ankle and foot, which is impairing in a number of injuries. 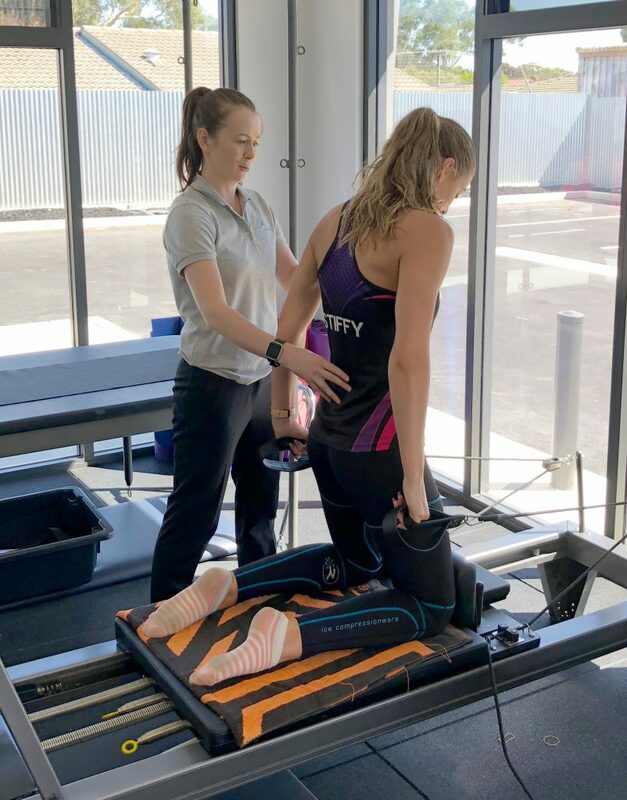 Improving this part of the rehab process will help reduce re-injury risk and help return to sport time frames and confidence. This class was originally designed for ACL reconstruction rehabilitation, but helps with a number of injuries such as patella dislocation, or even hip and ankle injuries. 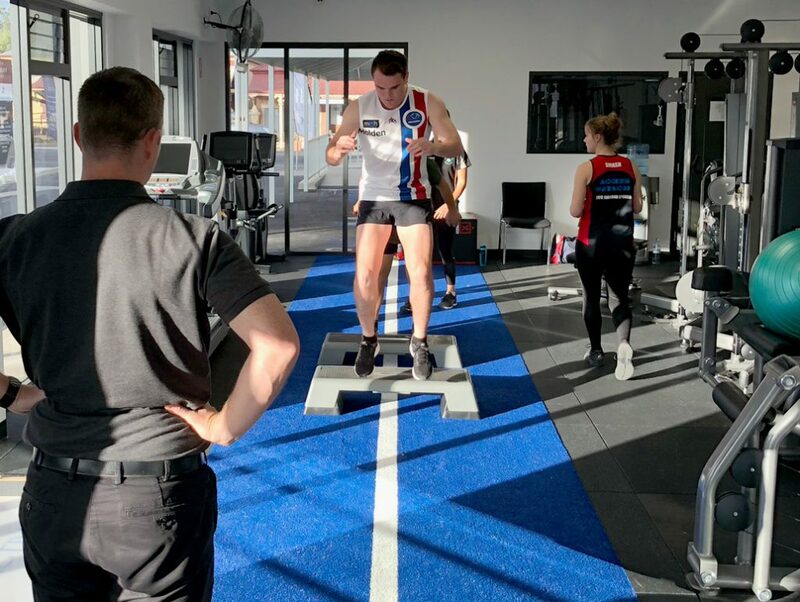 A sports assessment involves a number of physical and function tests designed to determine limitations within your body's physical capacity, which may be causing or predisposing you to injury, and/or effecting sporting performance. If you have had a long term or recurring injury, this could prove valuable as we can identify areas that need to improve on. Typically a strength and conditioning program is designed to help you overcome your limitations which will ultimately reduce injury risk and improve performance. This is a treatment technique which involves using very fine needles which are inserted into trigger points of muscles and other specific points in the body to help reduce pain, muscle tightness and to restore general motor function within the body. Our physiotherapists are trained in dry needling and western acupuncture. Pilates is a set of specially designed exercises developed by Joseph Pilates in the early 20th century. Pilate exercises are focused on strengthening the core muscles which help stabilise and control the body and spine. Strengthening the core muscles helps to reduce low back pain, pelvic instability,sacroliliac conditions and improves posture and spinal alignment. At Physioactive we offer one-on-one pilates lessons using the 'reformer' and mat based pilates exercises. A running analysis firstly involves some physical assessments to determine your limitations and weaknesses. Then a Physiotherapist will video you running from the side and behind. We will determine if your limitations are effecting your running performance, and if they are causing or predisposing you to injury. 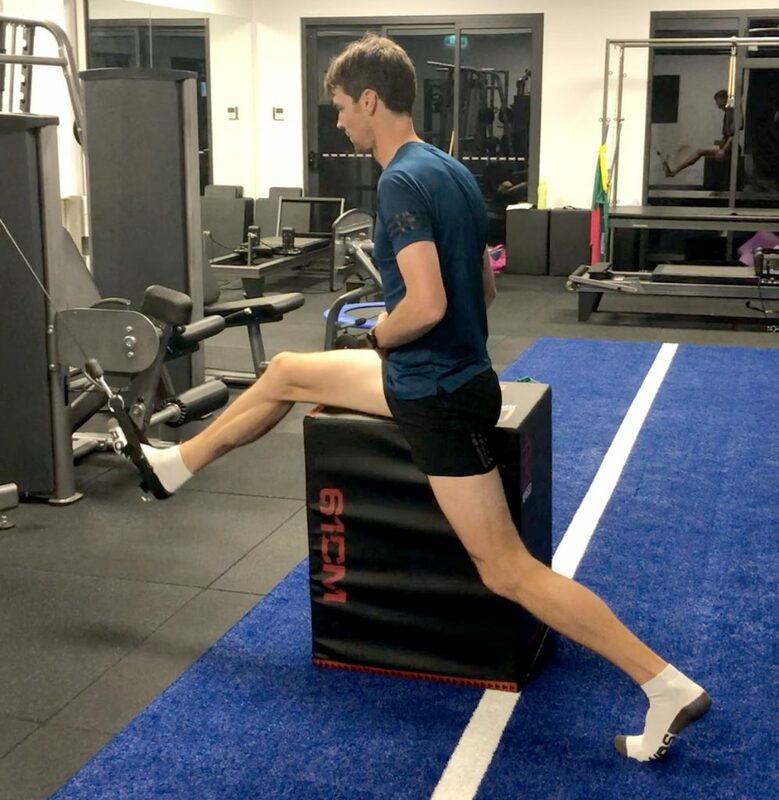 From here we can determine a strength and conditioning program to help you improve your running and help make changes to your running gait that will reduce your risk of injury and improve your running performance. Physioactive offers a 1 hour exercise class for clients that need to improve their general health and fitness which is tailored to the individual. The exercise class is a circuit style which can include treadmill walking, bike, rowing machine, upper limb and lower limb weights. The exercise class is designed to help with general health fitness, mobility, weight loss, strength, balance and post surgical rehabiliation. Cost is kept to a minimum currently $5 per session.